Step 1: I started by spray painting my planter white, but this is completely optional! 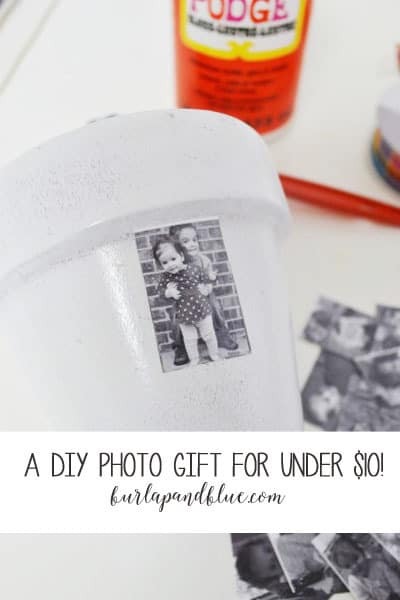 To get your photos, use Photoshop or another photo editing software (I know most can do this! ), to take your images and resize them. From just under the rim of my planter to the bottom was approximately 3″. 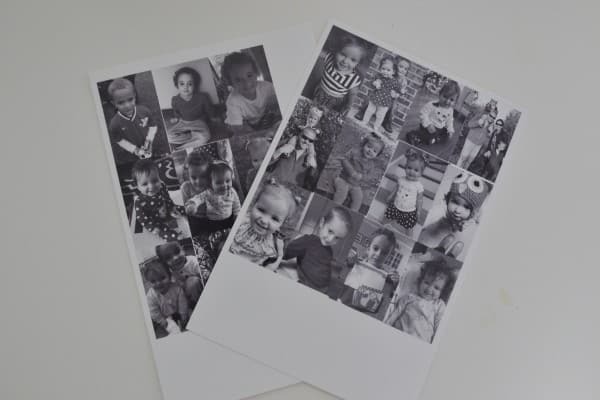 I wanted to make two rows of photos, so I sized my photos 1.5″ tall by 1″ wide. I resized 20 photos, and also converted them to black and white (also optional). 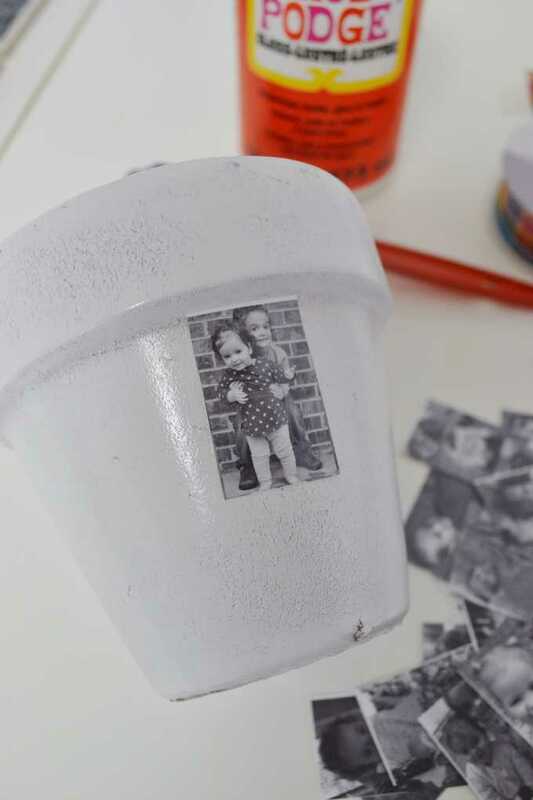 Print out your photos onto glossy paper. 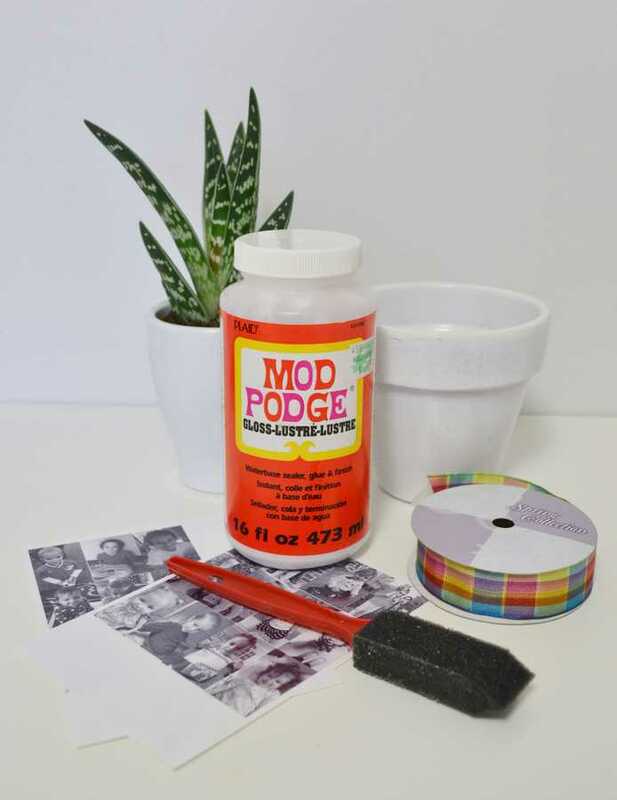 Step 3: Once your photos are mod podged down, let dry, and seal with three thin coats of Mod Podge, being sure to let each coat dry fully before applying the next. Use Mod Podge or hot glue to affix a length of ribbon around the rim of your planter. Step 4: For a finishing touch, add bow to your planter! Take a length of ribbon and hot glue the two ends together (first picture below). 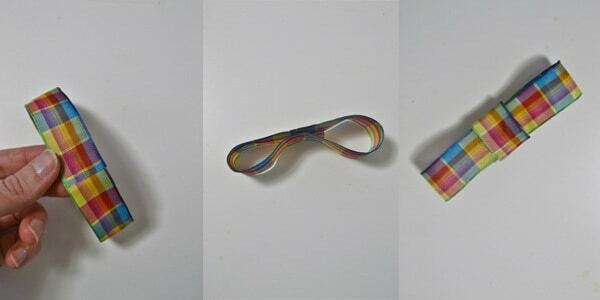 Press the middle of the ribbon together in the center, and attach with another drop of glue (second picture). 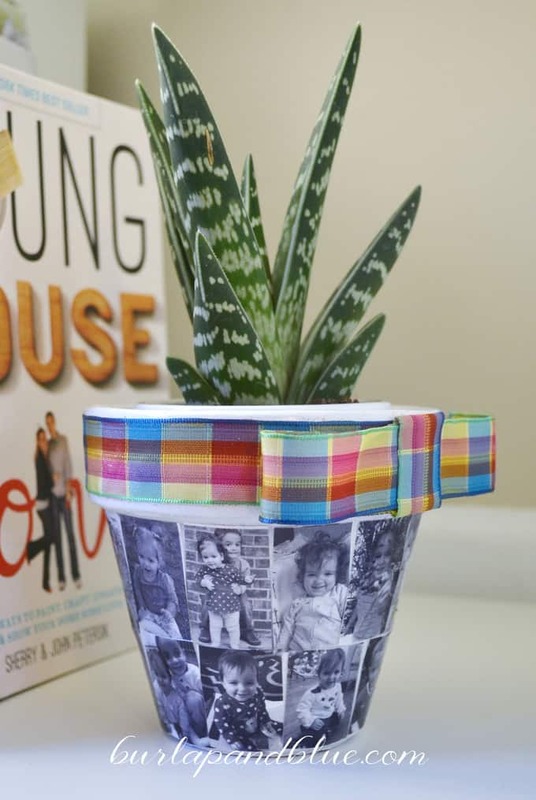 Take a smaller length of ribbon, wrap it around the middle, hot glue it in place, and then take your finished bow and attach it to your planter. And that’s it! 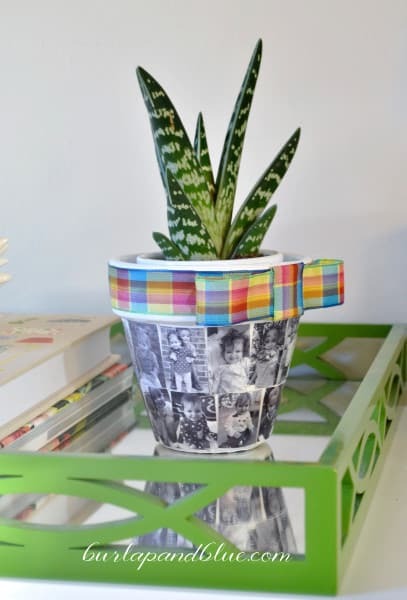 Add a plant, give a gift, and make someone’s day! These are definitely my favorite kinds of Mother’s Day gifts. Thanks for sharing on To Grandma’s House We Go! 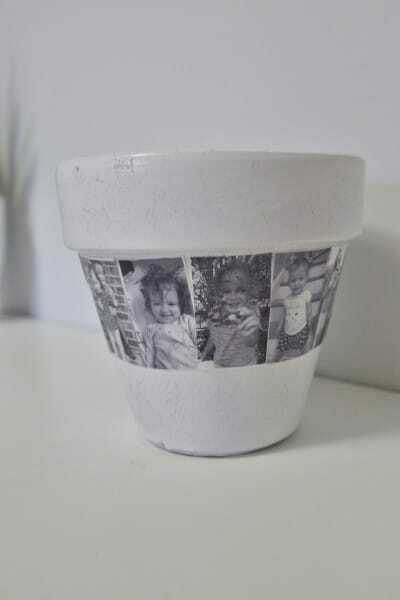 I love this idea, the pot turned out great. This would make a great birthday gift too. Thanks for sharing on Sunday’s Best. 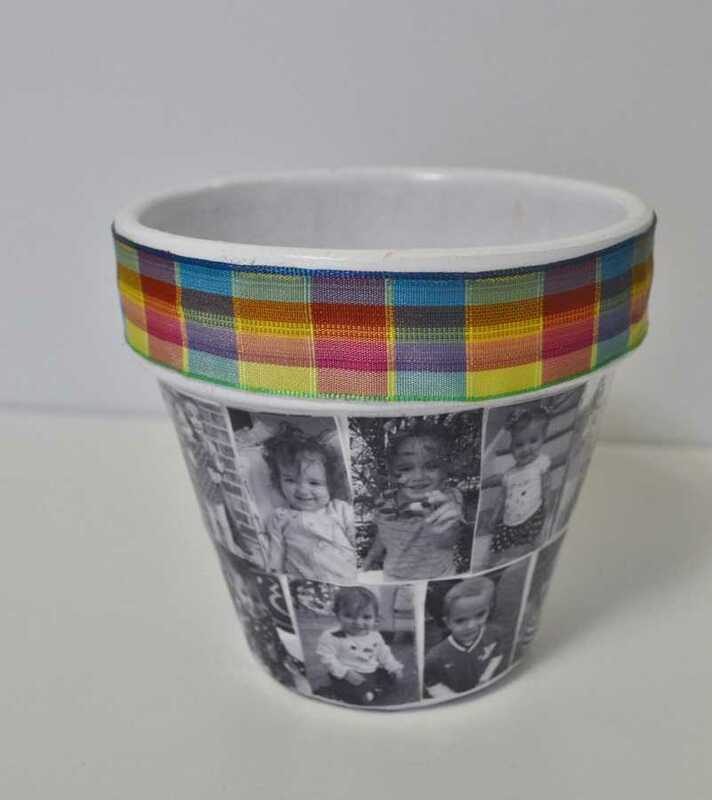 This is so adorable and great for Mother’s Day. Stop by Thursday Favorite Things since you are being featured.